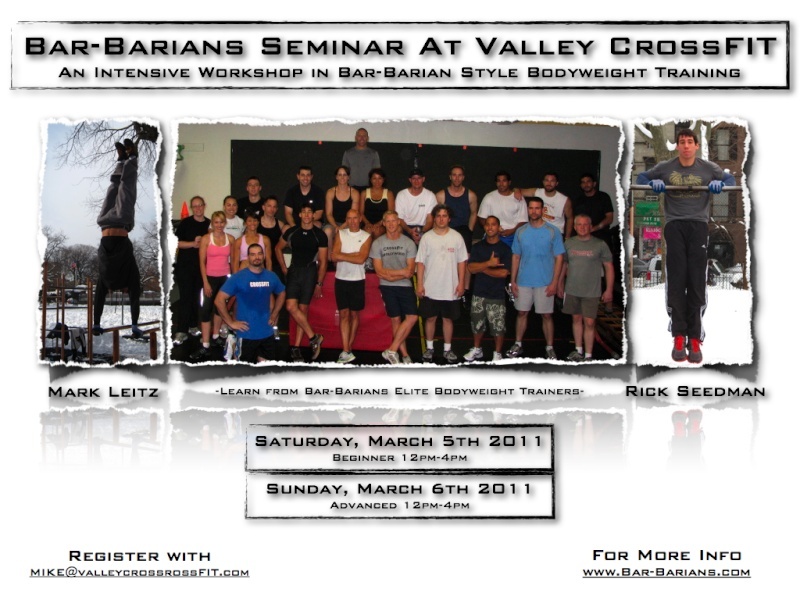 Valley CrossFIT in Los Angeles, CA has invited back the Bar-barians Seminar for a second time around. This one is going to be even bigger and better than the first! We are very excited to be working with them again and have a lot in store for these workshops! Spread the word to anyone in the area that is interested in learning or improving in Bar-barian Style Bodyweight Training.